When someone tells you that they worked at a summer camp, odds are you immediately picture them wearing zany costumes, performing skits, singing songs, or coaching kids in archery or swimming. 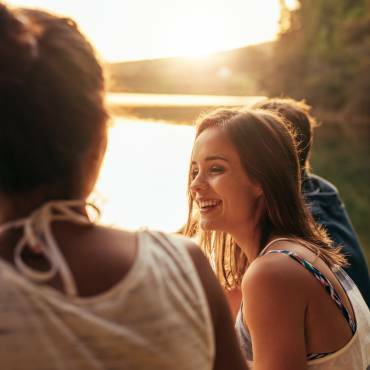 While ‘camp counselor’ might be the most common and visible type of camp gig, however, it’s far from the only role you can play as part of a camp staff. This post serves as a comprehensive A-to-Z guide to the wide world of summer camp jobs. Keep reading to try a few on and see what fits! Are you organized and level-headed, with a keen eye for the big picture? Do you already have several years of camp experience? If you answered yes to these questions, working in camp administration might be for you. Camp administrators handle pre- and post-session communication with campers and parents, organize staff and camper recruitment, connect the dots between various other camp roles and generally keep the trains running on time. Staff supervision and training, and conflict resolution may also be a part of the job. Effective administrators usually have considerable prior experience working at camps, but some camps have assistant-level or office manager positions that might not require the same amount of experience in the field. Certainly the most iconic of all camp gigs, the camp counselor role is a high-energy roller coaster of a job. It’s a role best suited to folks who are interested in the development of young people and thrive on the challenges inherent in trying to establish a fun and supportive environment for kids. Camp counselors don’t necessarily need to be animated extroverts, but they need to be able to energize and motivate campers, and they should have a good sense of humor and play. A typical day might include consoling a homesick camper, organizing a kickball game, finding creative ways to encourage kids to eat a balanced lunch, hanging out in the arts and crafts space with campers during free time, and doing a bit of lifeguarding to top it all off. Some camps have a strong programming interest in rock climbing. If you also have that strong interest—and are an experienced climber—you might seek out a job as a climbing instructor or climbing wall operator at a camp. Depending on the camp, a job like this might include some additional cabin counseling duties, but it might not. Always read job descriptions closely! Not all camp counselors are generalists; some have a very specific area of programming expertise. Some examples include: sailing instructor, language teacher, art or theatre director, rock climbing instructor, or themed camp counselor (e.g. Space Camp, Robotics Camp). If you have a specific skill or interest that is similar to these, you might look for camps that hire for specialized roles. You’ll probably still have a few other responsibilities, but you’d get to spend most of your time working in your area of interest and expertise. Setting loose a bunch of kids to play and explore in the great outdoors is a messy proposition! Keeping camp facilities clean and safe for use by campers and camp staff is an important job. Camp custodial gigs are a good fit for folks who don’t mind rolling up their sleeves and getting a little dirty, and want to enjoy some of the fun elements of working at a summer camp without being directly responsible for kids. It’s also one of the camp gigs that has clearer time off dynamics. Camp counselors are usually on the clock, or at least on call, except for a delineated day off every week or two. Custodial staff have the benefit of clear tasks to complete at particular times, and when those tasks are done, they can enjoy some free time. Are you the type of worker who needs to see immediate and visible results of your progress? Do you find busting grime and grit off pots and pans deeply satisfying? You might have all the makings of a great camp dishwasher. As with camp custodial staff, camp kitchen staff work hard but enjoy the benefits of a very clear on/off daily schedule. Many camps also assign campers occasional light kitchen duties, which makes the kitchen a fun place to get to know lots of different campers over the course of a session. Dishwashing can be hot, sloppy work, but it’s also way less stressful than being a head cook. Not all camps hire a dedicated groundskeeper, but some larger ones do. 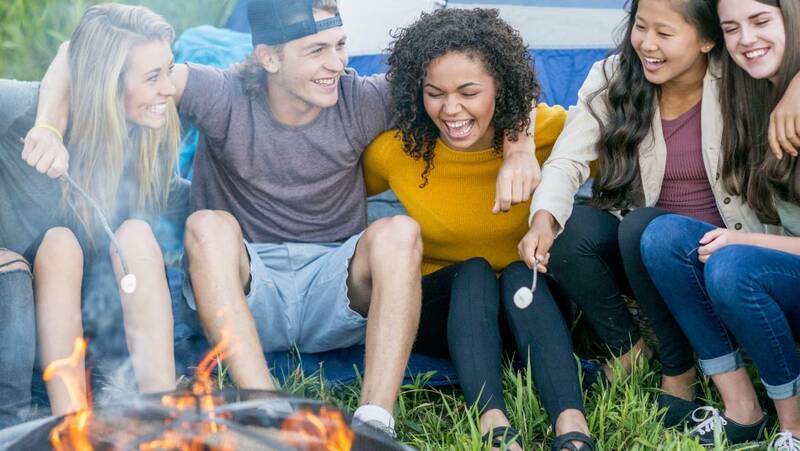 If this is the type of camp gig you’re after, your best bet is to set your sights on one of the larger camping organizations: the YMCA, the Boy Scouts of America, or the Girl Scouts of America. Providing food for a camp full of hungry bellies is no small task. It takes a dedicated crew, under the leadership of someone who can handle the stress of a hot summer kitchen and the thrifty creativity necessary to cook up mountains of nourishing food on a modest budget. This means doing careful menu planning, food ordering, inventory management, budgeting, and lots of early mornings. If you love to cook kid-friendly meals and enjoy a bit of spontaneous culinary problem solving, you might make a great camp cook! Too young to land a counselor gig but looking for a fun first summer job that will set you on the path toward one? Nearly all camps have a junior counselor or counselor-in-training program. It’s a great way to demonstrate your interest early, get tons of relevant hands-on experience, and benefit from working with awesome mentors. Every camp handles things differently, but JCs and CITs usually work closely with cabin counselors and do similar work, but hold a bit less overall responsibility. Like the idea of working in the kitchen, but don’t want to deal with the stress of being at the helm? You might be interested in working as a kitchen assistant or second cook. Similar schedule and work, but with fewer planning and supervisory duties. Any way you slice it, a lifeguard certification is a good ticket to summer job opportunities. This is as true at summer camps as it is at neighborhood pools. Nearly every camp has a waterfront, or at least a pool. Swimming, boating, raft-jumping, and shallow water games are staples of summer camp, especially on hot days. As a result, camps need plenty of lifeguards! In most cases, ‘lifeguard’ will just be one hat among several you might wear in a camp gig, but it’s often a hat that will give you a leg up when you apply and a pay bump when you get hired. Summer camps are known for rustic facilities and modest budgets. This combination creates plenty of work for a creative repairperson! If you like problem solving and working with your hands, and know your way around most standard tools and repair jobs, this might be the perfect camp gig for you. 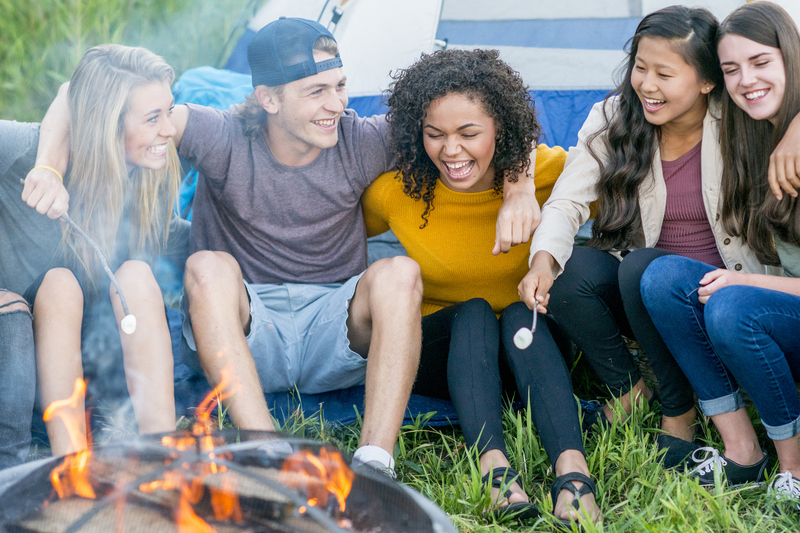 It allows you to get the summer camp experience and the fulfillment of contributing to it without the stress of being responsible for kids, or the kitchen that feeds them. Every camp needs a nurse or health officer. This person is responsible for keeping medical records, dispensing routine medications, and providing additional care in cases of illness and injury. The health officer also discusses camper health with parents, both upon arrival and if anything arises during the session. Finally, the health officer has the responsibility of deciding when a medical concern should be escalated to outside care, such as a local doctor or hospital. A ropes course is a component of many camps’ equipment. Ropes courses pose a fun set of challenges that can serve as an environment for personal growth and team building. Because ropes courses are significant pieces of infrastructure, camps that have them tend to keep them in pretty frequent use, which means they need people to operate them. You might like being a ropes course operator if you find satisfaction in helping people push themselves out of their comfort zone, and if you value both safety and adventure. Lots of camps are situated on lakes, providing waterfront activities galore to staff and campers alike. If the lake’s big enough, the camp might have a sailing program. A camp might have a couple boats and offer the occasional sailing activity, or it might offer a whole sailing session, or even be a camp dedicated entirely to sailing. If you have sailing experience—or, better yet, experience teaching younger folks how to sail—then a camp gig as a sailing instructor might be just the ticket. The waterfront is one of the most loved, and riskiest, parts of a summer camp. These risks can be managed, but they never entirely go away, even with a solid crew of experienced, attentive lifeguards. Most camps hire a dedicated waterfront director to oversee all water-related activities, manage the associated risks, and conduct ongoing lifeguard training and drills. Waterfront director is a good fit for folks who are comfortable in a leadership role, cope well with stress, and have an aptitude for risk management. Many camps run backcountry treks as part of their programming. These might be intense multi-week excursions or brief multi-day introductions to backpacking. If you have some significant backcountry camping and hiking experience, being a wilderness guide or trip leader can be an extremely fun and rewarding camp gig. Guides get the chance to explore gorgeous, rugged wilderness areas while helping young people gain hard outdoor skills and become more confident on unfamiliar terrain. Wilderness treks usually involve long stretches of time spent in remote contexts far from the nearest hospital. Because of this, at least one guide per trip is usually a certified Wilderness First Responder (WFR). In addition to their normal guide duties, this person serves as the primary medical officer on the trip, dispensing daily medications, checking in on common backcountry medical concerns (dehydration, blisters, sun exposure), and responding to more serious injury or illness if it presents itself. If you have a particular interest in medicine or first aid, or if you do lots of backpacking yourself and want some more formal training, being a wilderness medical officer could be a great choice for you. Most people who get the WFR certification are surprised at just how much they learn, and its relevance even in non-wilderness contexts.